Dharmesh Bhatia of Kotak Commodities suggests buying MCX gold around Rs 26,900 per 10gm with a stop loss at Rs 26,800 per 10gm and a target of Rs 27,350-27,500 per 10gm. Sumeet Bagadia of Destimoney Commodities advocates buying MCX zinc on dips around Rs 101 per kilogram levels. Bagadia says, “Keep a stop loss for this trade at Rs 99 per kilogram for a target of Rs 103-104.50 per kilogram”. 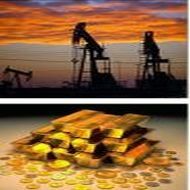 Shreekanth Jha of PJ Commodity Ventures advises selling MCX crude around Rs 5,250 per barrel with a stop loss above Rs 5,300 per barrel for a target of Rs 5,150 per barrel. Renisha Chainani of Edelweiss recommends buying MCX silver with a stop loss at Rs 45,200 per kilogram and a target price of Rs 46,000 per kilogram. Gold eased on Tuesday, losing its shine as an alternative investment after stock markets rallied on hopes for a steady US recovery, and as holdings on bullion exchange-traded funds slipped to their lowest in more than three years. Although physical buying has helped gold rebound from a 2-year low hit in April, daily outflows on ETFs reflect investors’ sagging interest in the metal, which has fallen more than 12 percent in 2013 after rising for each of the past 12 years. Gold eased USD 3.70 an ounce to USD 1,465.19 by 0451 GMT. It rose to a near three-week high of USD 1,487.80 on Friday on safe-haven buying spurred by a cut in interest rates by the European Central Bank and the Fed’s decision to stick to its stimulus programme. “I think sentiment is quite mixed. Physical demand supports gold but you can see some liquidation in the market,” said Peter Fung, head of dealing at Wing Fung Precious Metals in Hong Kong. SPDR Gold Trust, the world’s largest gold-backed exchange-traded fund, said its holdings fell 0.31 percent to 1062.30 tonnes on Monday — the lowest since August 2009. In terms of ounces, holdings fell to 34,153,901. Gold plunged to around USD 1,321 on April 16, its lowest in more than two years, after a drop below USD 1,500 and fears of central bank sales led to a sell-off that stunned investors and prompted them to slash holdings of exchange-traded funds. 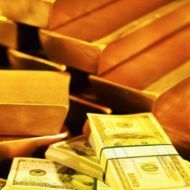 The price drop ignited a buying frenzy in Asia and other parts of the world, leading to a shortage of gold bars, coins and nuggets in Hong Kong, Singapore and Tokyo, and helping the metal stage a rebound. But gold’s failure to revisit the psychological USD 1,500 level suggested that funds were still on the sidelines. US gold for June delivery was at USD 1,464.90 an ounce, down USD 3.10. “We expect the physical demand to support the market, but (that) could prove difficult to maintain in the face of rallying equity markets, ETF outflows and speculative financial shorts,” said ANZ in a report. ANZ, which cut commodity price forecasts on Tuesday, sees gold averaging at USD 1,573 in 2013 and USD 1,648 in 2014. “However in the near term, the tide is moving out and gold is likely to drift lower before finding a base from which to recover,” it said. Spot gold is expected to revisit its May 1 low of USD 1,439.74, according to Reuters technical analyst Wang Tao. In other markets, Asian shares were capped on Tuesday by caution over weak global growth data, but Japanese equities scaled a near five-year peak after the Standard & Poor’s 500 Index closed at a record high overnight. GOLDM prices on MCX gained. At 11:04 hours IST, MCX GOLDM June contract was trading at Rs 27089 up Rs 122, or 0.45 percent. The GOLDM rate touched an intraday high of Rs 27100 and an intraday low of Rs 26980. So far 5018 contracts have been traded. GOLDM prices have moved down Rs 3052, or 10.13 percent in the June series so far. MCX GOLDM July contract was trading at Rs 27235 up Rs 148, or 0.55 percent. The GOLDM rate touched an intraday high of Rs 27244 and an intraday low of Rs 27130. So far 728 contracts have been traded. GOLDM prices have moved down Rs 2765, or 9.22 percent in the July series so far. MCX GOLDM August contract was trading at Rs 27425 up Rs 191, or 0.70 percent. The GOLDM rate touched an intraday high of Rs 27425 and an intraday low of Rs 27350. So far 288 contracts have been traded. GOLDM prices have moved up Rs 75, or 0.27 percent in the August series so far. Get commodity tips free trial by sharetipsexpert India’s No 1 commodity tips provider to make good profit in commodity market.